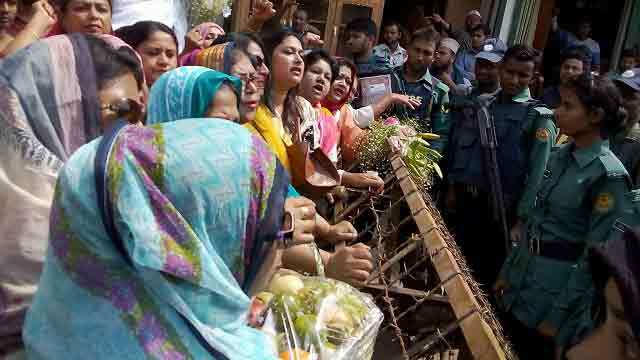 Dhaka, Feb 19 (Just News): Some former female lawmakers of BNP were denied to meet their party Chairperson Begum Khaleda Zia, who is now in jail. Around 50 female BNP leaders including Shirin Sultana, Papia Akhter, Rehana Akhter Banu and BilkisJahan went to meet Khaleda Zia at Nazimuddin Road, Dhaka today. Khaleda Zia has been serving jail since February 8 following a Dhaka court verdict in Zia Orphanage Trust case.She was sentenced to five years imprisonment in the case.